The QK-A032 is intended for use in a marine environment. It provides an easy way to link between your boat’s old and new data networks. The QK-A032 is intended for use in a marine environment. It provides an easy way to link between your boat’s old and new data networks. The QK-A032 allows the user to connect NMEA 0183 equipment to a NMEA 2000 network and vice versa. It has a bi-directional converter with wide support of message types. This will let the boat adopt a NMEA 2000 network, whilst connecting any existing NMEA 0183 devices to the new bus standard. The A032 bi-directional converter is an easy way to connect NMEA 0183 equipment to a NMEA 2000 network. The A032 NMEA 2000/0183 bi-directional converter is so much more than a NMEA 0183 to NMEA 2000 converter. It can convert in both directions, 0183 to 2000 and 2000 to 0183 and view the combined NMEA 0183 and 2000 data through a chart plotter, USB or WiFi to your laptop, tablet or smart phone. The A032 allows you to use both NMEA standards on your boat. You will be able to have many of the benefits of NMEA 2000 (such as faster speed, easy installation, connecting more devices) without having to change all your current equipment. Unlike other converters, the A032 converts in both directions and also allows you to view your data on your computer, tablet or smart phone; either wired through USB or wirelessly through WiFi. Then all you do is connect the NMEA 0183 device to one side and the NMEA 2000 backbone to the other. USB and WiFi connection are optional. The A032 can also convert in that direction. If you have more equipment on your boat, why not combine all 0183 devices using the A031 multiplexer and then send the combined messages together to the NMEA2000 backbone. It is very important to check the table on the Technical Information tab to check the A023 will convert the sentences/PNGs that your equipment requires. Please note: AIS messages are not currently converted from NMEA 0183 to 2000 or from NMEA 2000 to 01832. You can still connect your AIS receiver to the A032, but if you want to view AIS (on a mixed 0183/2000) system. Or – You can view all combined data (including AIS if NMEA 0183) on your laptop, tablet or smart phone (via USB or WiFi). The QK-A032 comes preloaded with drivers. 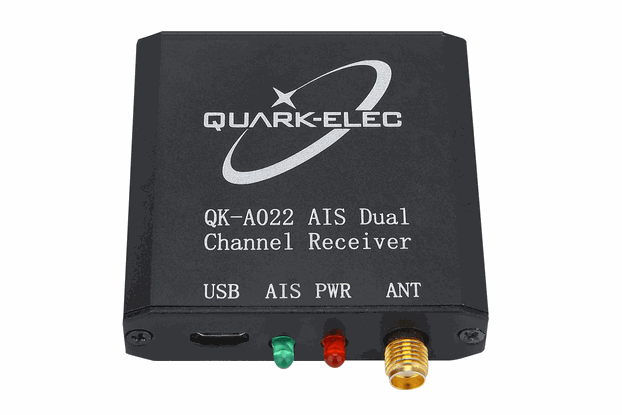 Specific GUI(Configuration Software) for the QK-A032 can be downloaded here.